An abandoned dog is in good hands after being left outside a Williamston pet supply store. FOX 47's Cryss Walker spoke with the store owner who says the dog was found freezing and tied to a gate. A video captured by surveillance shows a man taking his dog for a walk but it's what the video doesn't show that is shocking. 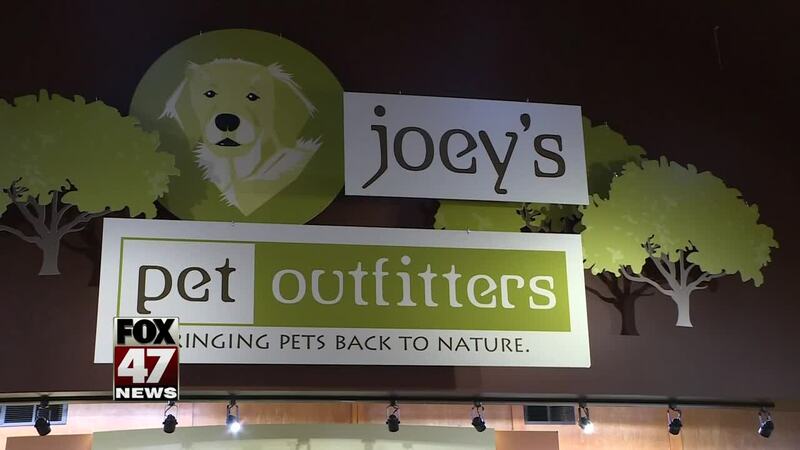 “My employee went out to salt the driveway and there was a dog tied to our back fence”, said Mark Marquardt owner of Joey's Pet Outfitters. Wednesday morning the staff found a black German Shepherd and called Ingham County Animal control for help. Marquardt says although he's flattered someone trusted his team to find the German Shepherd a forever home, he says it's never a good idea to leave a pet abandoned, especially during the winter months. “If you find yourself in this situation please either contact your local rescue or your shelter, the humane society or even give us a call and we can make the phone calls”, Marquardt explained. Joey’s Pet Outfitters is hosting a pet adoption event at their store February 16th at noon. The address is 980 East Grand river in Williamston. It's important to remember pet abandonment is a crime. Violators can face 93 days in jail and a $1,000 fine.